Last January 31, the world stopped to view a rare lunar event: the Super Blood Blue Moon. This rare lunar sight was last seen in North America 150 years ago. It was special because it was the combination of three different lunar occurrences. The first, that it was a lunar eclipse to coincide with a Blue moon (the second full moon in one month); the second was that it was the first of only two “supermoons” of 2018 (when the moon appears slightly bigger and brighter because of its nearness to Earth); and lastly because the supermoon passed through the Earth’s shadow, which cast a reddish hue on the moon for more than four hours. Most of us, as well as people in Australia and eastern Asia, were able to see the moon, despite the series of clouds obstructing much of our view. All the same, many skywatchers were a little disappointed with what they saw. Astronomers, however, say that we do not have to wait for another 150 years to see another “blood moon.” The next blood moon eclipse will occur on January 21, 2019. This lunar eclipse will also happen during a supermoon. The difference between that moon and this one is that the 2019 moon won’t be a Blue moon. February 15, 2018 – The first solar eclipse of the year. The moon will partially block the sun over Antarctica. March 31, 2018 – The next Blue moon. July 13, 2018 – Solar eclipse. This will only be a partial one and will be visible in the southern parts of Australia. July 27, 2018 – A total lunar eclipse (when the moon appears to turn red). This will not be visible from North America. Those who live in South America, Europe, Africa, Asia, and Australia will have a great view of it though. July 16, 2019 – Partial eclipse. This will be followed by four relatively minor eclipses. May 26, 2021 – Total lunar eclipse. December 31, 2028 – Blue Blood Moon; although this will probably be called the New Year’s Eve Blue Blood Moon. January 31, 2037 – Super Blue Blood Moon. This will be visible in North America, Europe, Asia, Australia, and some parts of Africa. An eclipse occurs when another celestial body blocks the light of the sun from reaching the Earth. Scientists have divided the experience into two types: lunar and solar. A solar eclipse happens when the moon blocks the sun’s light and casts its shadow on Earth. On the other hand, a lunar eclipse happens when the Earth is directly in front of the sun, blocking the sun’s light from reaching the moon. This means that during lunar eclipses, the moon can appear reddish or oranges as the Earth’s atmosphere absorbs other colors while bending some sunlight towards the moon. It’s easy to get the two confused. An easy way to remember which eclipse is which is to look at its name. The name points to what gets darker when the eclipse happens. In a solar eclipse, the sun gets darker. Conversely, the moon gets darker during lunar eclipses. Black moon – Second new moon in a month OR no new moon in an entire month OR third new moon in a season of four moons. 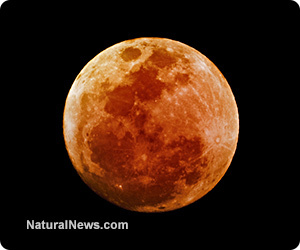 Blood moon – Happens during a total lunar eclipse. This is when the Earth passes in between the sun and the moon. The moon receives little light from the edges of the Earth’s atmosphere. Supermoon – This happens when the moon is at its closest point to Earth.